FAQ and general information page. Because there is a lot of information on this website, which may appear daunting to read, these pages contain answers to Frequently Asked Questions (FAQs) about the Mountain Devils. 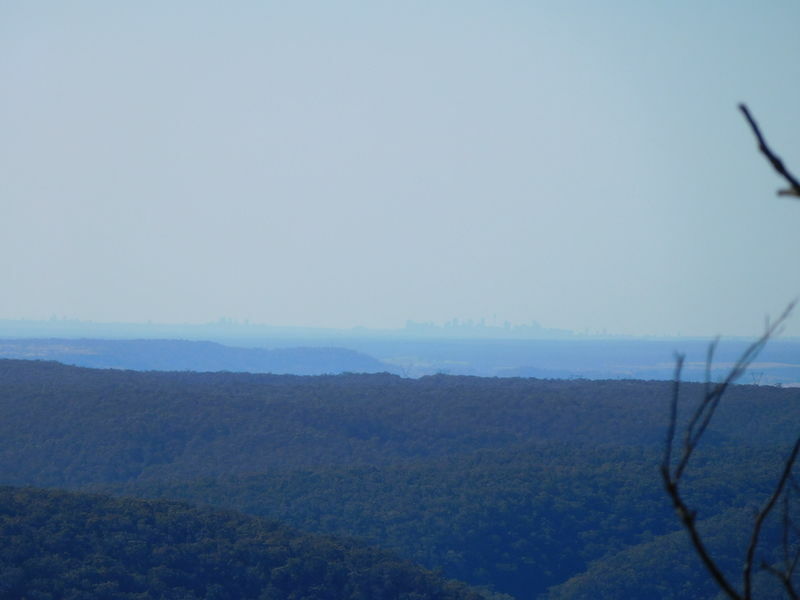 The Mountain Devils is a bushwalking/social club and a member of the Bushwalking NSW Inc.. It is affiliated with the Campbelltown Catholic Club Collegians group of sporting and social clubs. The Mountain Devils goal is to enjoy the great Australian bush in the company of people who share a passion for its beauty. We also seek to provide wider opportunities for the creation of friendships by also conducting regular social activities. Pensioner $20 p.a. on production of a pension concession card. The club financial year is from 1st July to 30th June. Any person/s joining after the 31st of December club membership fees are reduced. To assist in deciding if bushwalking is for you, the Mountain Devils request that guests undertake two trial walks with the Club. For these walks each guest will be granted temporary club membership, which entitles coverage by the Club’s insurance. After attending two walks guests are required to either join the Mountain Devils, or cease participating in Club activities. Club meetings are conducted on the first Monday of the month at the Campbelltown Catholic Club commencing at 7:30pm. Guests are welcome at our meetings and should contact a committee member for details. Link to map site with Catholic Club location. Note, the Annual General Meeting is held on the second Monday in July, and occasionally other meeting dates may be varied. Check the Activities Program on our website. 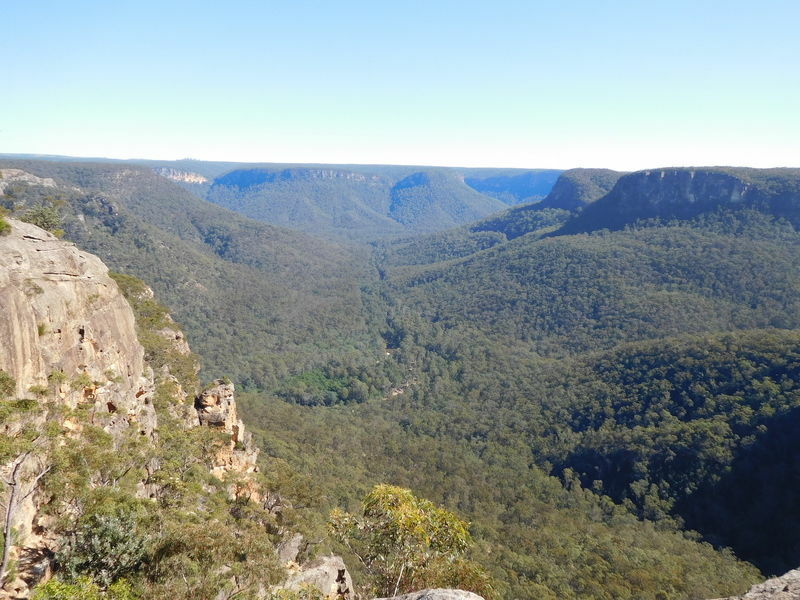 The Mountain Devils holds insurance through a scheme organised by the Bushwalking NSW Inc.. There are limits to the benefits offered by this insurance, and as there are risks attached to participating in Club activities, individuals should consider their personal circumstances and assess any possible financial and/or personal impact. Individuals participating in Club activities should be aware that there are risks associated with these activities and need to accept these risks. Bushwalking can be a strenuous activity conducted in hostile environments. The Mountain Devils Bushwalking and Social Club Inc, the Office Bearers of the Mountain Devils, and the Activity Leader CANNOT accept responsibility for injuries sustained whilst participating in club activities. Participants are required to sign a waiver form prior to the commencement of each activity. Members and guest walkers should read carefully the waiver/attendance form to ensure they are familiar the conditions set down. Please remember, this is a voluntary organisation. We regret to advise that any person under the age of 18 (eighteen) years of age is not permitted to attend either bushwalking or car camps. This decision was not taken lightly and is a result of compliance with child protection guidelines. The Mountain Devils does not permit pets on club activities. Car-pooling is encouraged to help reduce the cost of getting to and from club activities. The method for calculation of cost sharing is decided at a general meeting of the Club. Currently Club policy is a charge of up to a maximum of 30c per kilometre travelled, shared equally by all travelling in the car. Any additional fees, e.g. National Park entry fees, should also be shared equally. It is a good idea to carry some small notes and coins with you as this will facilitate the payment of any transport costs. It should not be expected that transport will automatically be available on the day. Participants should consult with the Leader of the activity prior to the day if help is required. Car owners should also ensure their vehicles are road worthy and capable of completing the trip. There are bushfires that affect or are in the area of a proposed walk/social event. There are high winds forecast. This is especially the case if walking in wooded areas. There are storms predicted to occur in the area of a walk, particularly if thunderstorms are predicted. We do trim our walking program back during the hotter months of Summer. During this time we generally reduce walk distances and gradings or have earlier start times. A bushwalking group should never walk faster than the slowest person. It is safer for the group to slow down than for a slower walker to try to keep pace. 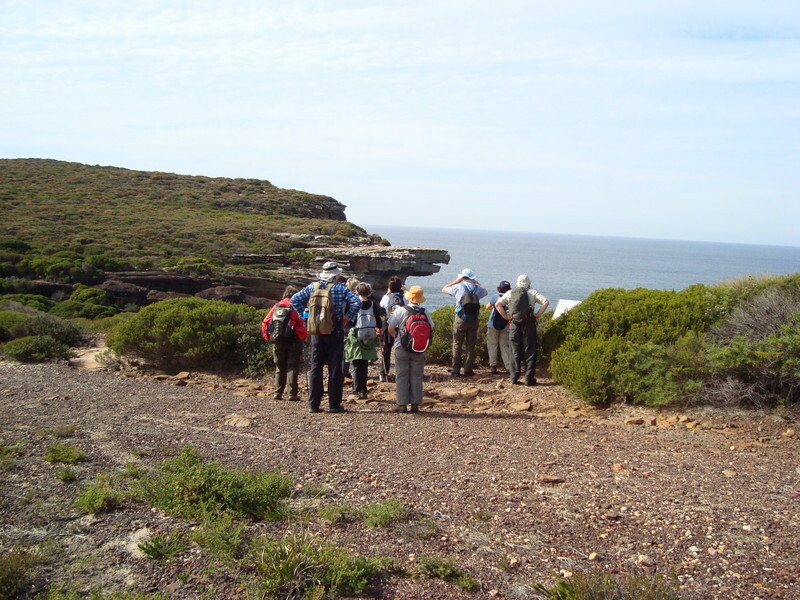 Some bushwalking groups treat bushwalking almost as a race and seek to maintain high walking speeds throughout the walk. Not only is this risky for walkers but it can reduce the pleasure of the walk. Being able to enjoy ourselves is one of the main reasons for bushwalking. We don’t dawdle, we seek to maintain a safe and comfortable walking speed for all participants. If you have not been bushwalking before you may be surprised to learn how much equipment you may need for the walk. Read through the The Mountain Devils Walker guidelines (PDF file) and first four links in the Bushwalking section of our "Documents and Links" page. These documents contain useful information on what you need to know and consider when undertaking a bushwalk. If you are unsure of anything then feel free to contact either a Committee Member or the Leader for the walk/social event you may be considering. Even if you have been bushwalking before you should consider starting with easy or medium-easy walks. 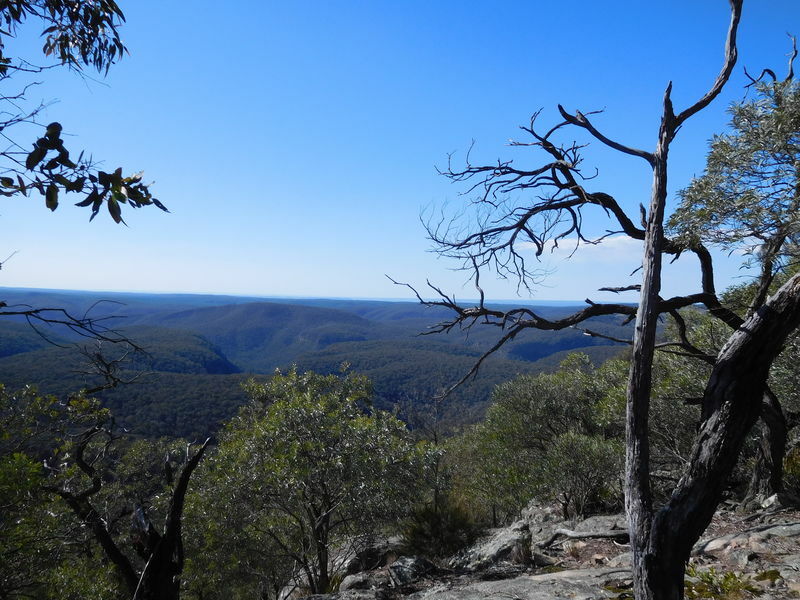 Bushwalking is a strenuous activity and even easy walks can require more effort than the "easy" grading indicates. In preparation for your first walk, physical activity levels can be increased by taking walks around your local area, or by participation in Yoga or Tai-Chi classes. Simple stretching exercises ought to be done before any of these activities. The main thing to consider is the need to get your body "moving" again. Walk Leaders have the right to deny anyone participation in an activity if the Walk Leader does not consider the participant physically capable or properly equipped for the activity. Why Are Some Walks For "Members Only"? "Members Only" walks are at the discretion of the walk leader. In general, the nature of a walk determines if it is to be a "Members Only" walk. These types of walks can be exploratory (not been done by the leader before), cover long distances, be technically challenging (off-trail navigation and route finding), physically strenuous or all of these and so are suitable only for the more experienced walkers. These "higher level", more difficult walks provide the opportunity for members to extend their capabilities and experience. The achievement of these higher levels has become an effective goal setting exercise for many of our members. What time does the activity start? Start times do vary and are set by the activity leader. The main reason start times are not published is that it is extremely important that anyone considering participating in a club activity talk to the activity leader, to be informed of, and to discuss, the nature of the activity. How To Book-In For A Walk/Social Activity. It is essential that the Leader of the Activity is telephoned by mid-week (or earlier if so advised in the activity description) to "book" for an activity. This verbal contact is necessary so that the activity leader can relay information regarding starting time and other information regarding the activity. It also enables the leader to advise of any limitations. The number of participants is limited at the discretion of the Activity Leader. If "booking" is left too late the activity may be fully subscribed or perhaps cancelled if not enough interest is shown. Following the correct booking procedure is a more than basic courtesy, it is an important part of ensuring a successful activity. If for any reason you are unable to attend an activity for which you have booked in, please contact the leader as soon as possible. This enables someone on a wait list to take your place. PLEASE NOTE: The use of SMS or email is not generally considered an acceptable method for contacting the Activity Leader. It is essential to phone the leader as there may be important information about the activity to pass on to participants. We hope that we have covered the most "frequently asked questions". If you are still unsure of anything then feel free to contact either a Committee Member or the Leader of the activity in which you are interested.